Way, way back, I worked on the soi-disant Kew Navvy Gang (KNG), for the now extinct PMG. The gang was a wild bunch of hippies, musos and dope freaks; labouring was the only work available then for long-haired guys in a very conservative Melbourne. 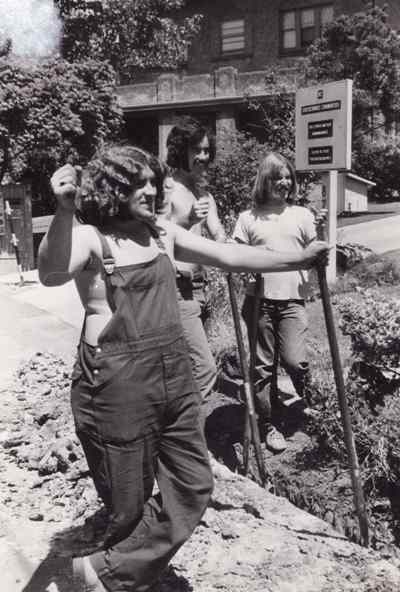 Mick Elliott (guitarist) and I (both smartly outfitted in blue PMG bib and brace overalls) were using a couple of jackhammers to rip up the footpath in Kew Junction for the laying of telephone cables. Nearby, smartly dressed office workers read their morning papers as they waited for the eight o’clock tram to the city.